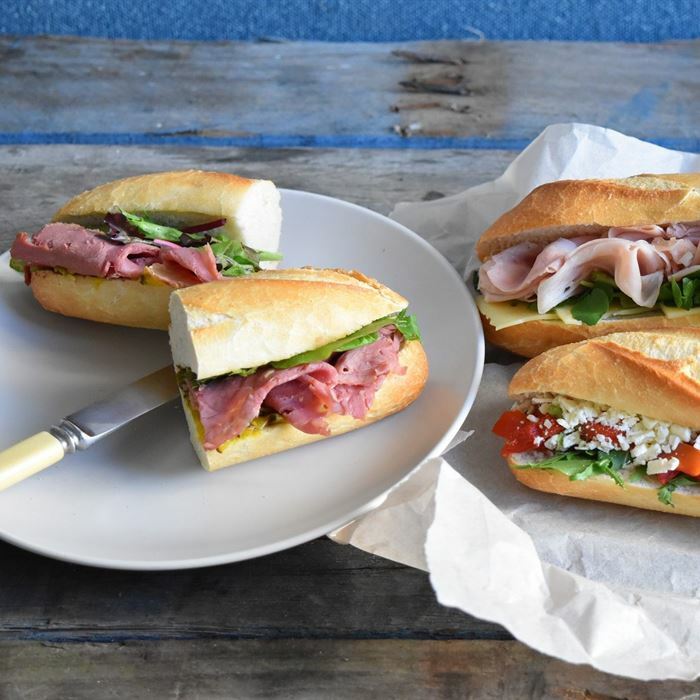 Traditional point sandwiches (4 points per sandwich). Recommended 1.75 rounds per person. 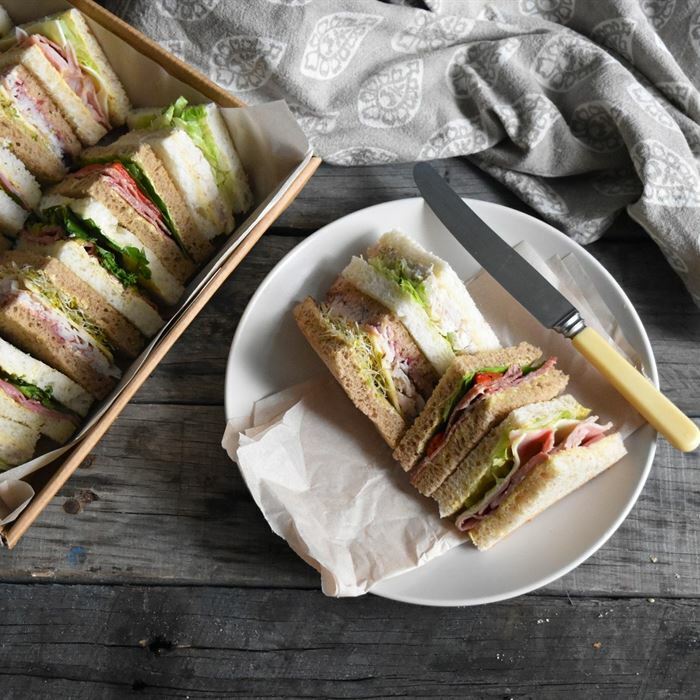 Triple deck sandwiches cut into ribbons (3 ribbons per sandwich). Recommended 1.75 rounds per person. 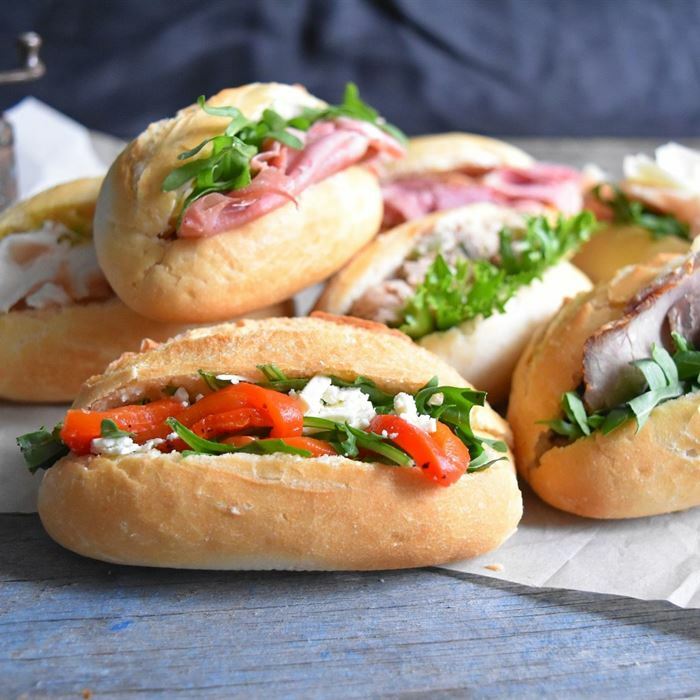 Traditional and modern sourdough breads in a variety of flavours for those with a healthy appetite. Recommended 1.25 round per person. 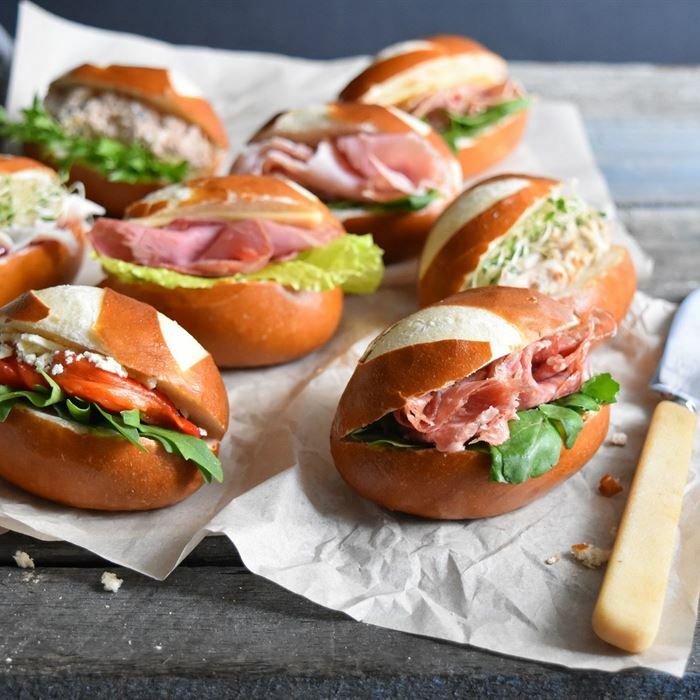 A smaller easy to eat roll, beautifully presented and perfect for meetings. 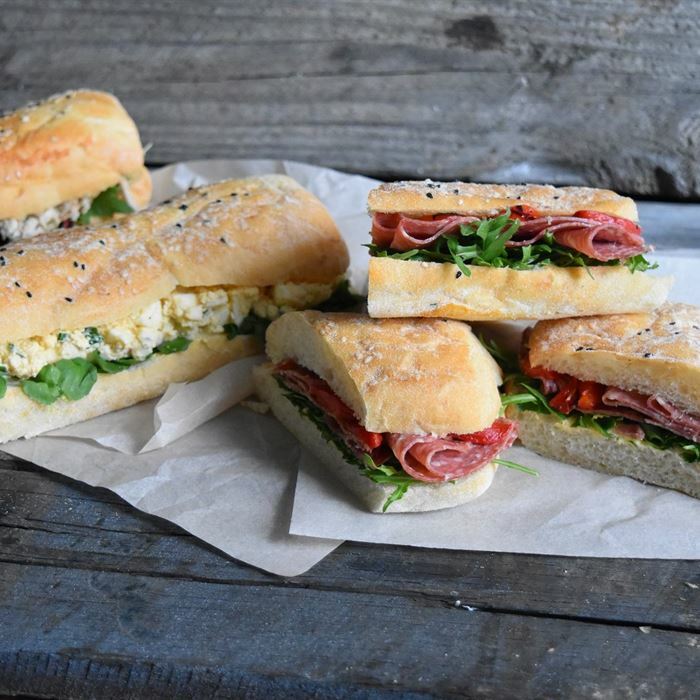 Recommended 3 per person. 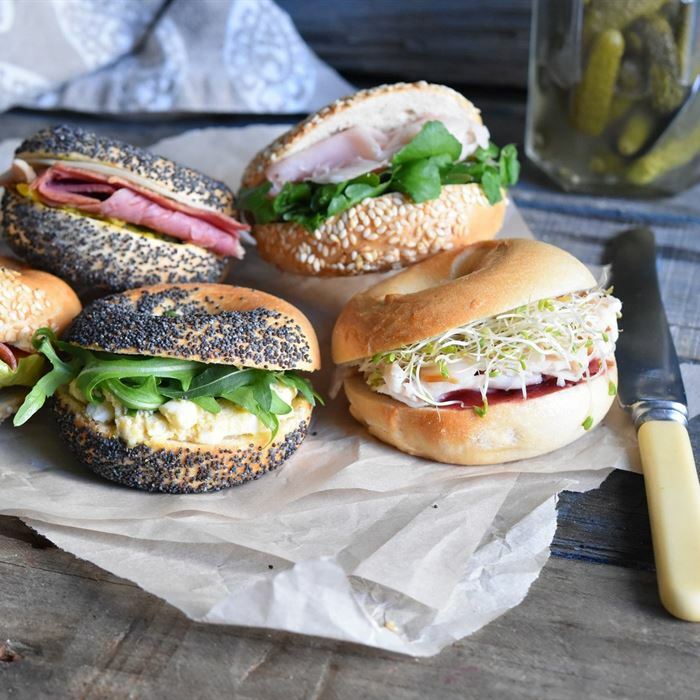 Flavoursome petit bagels with all our great fillings. Recommended 2.5 per person ($1 surcharge for smoked salmon bagels). Soft and chewy with a lovely light flavour. Recommended 1.25 per person. 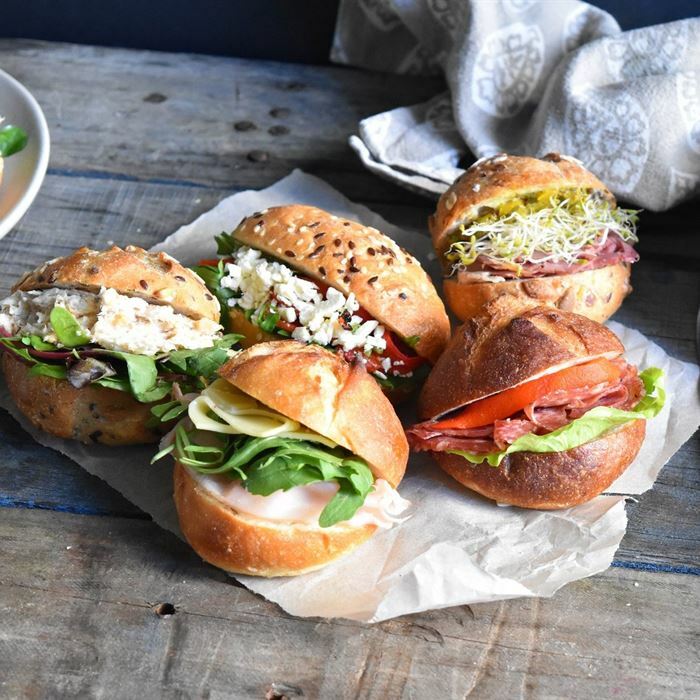 A soft French style bread roll, cut in half, bursting with colourful fillings. Recommended 1.5 per person. 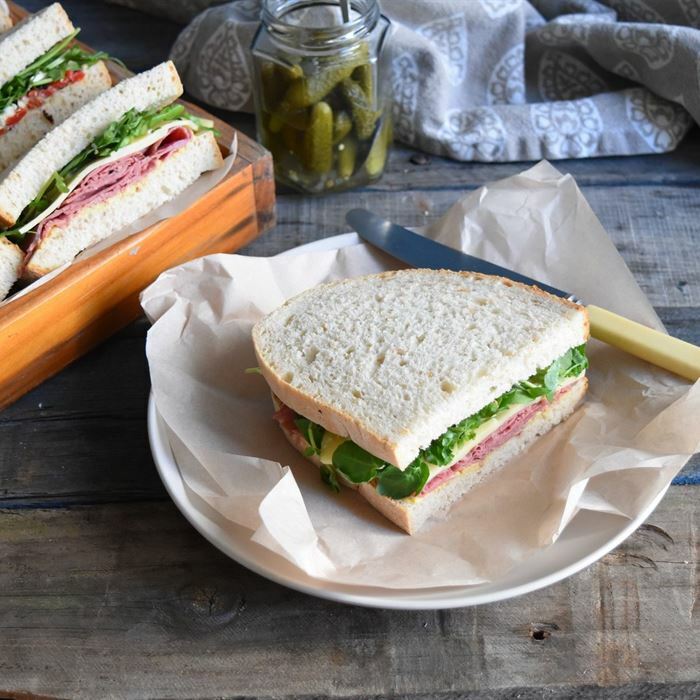 The chef’s favourite – fresh, flavoursome and looks fantastic. Recommended 2.5 per person. 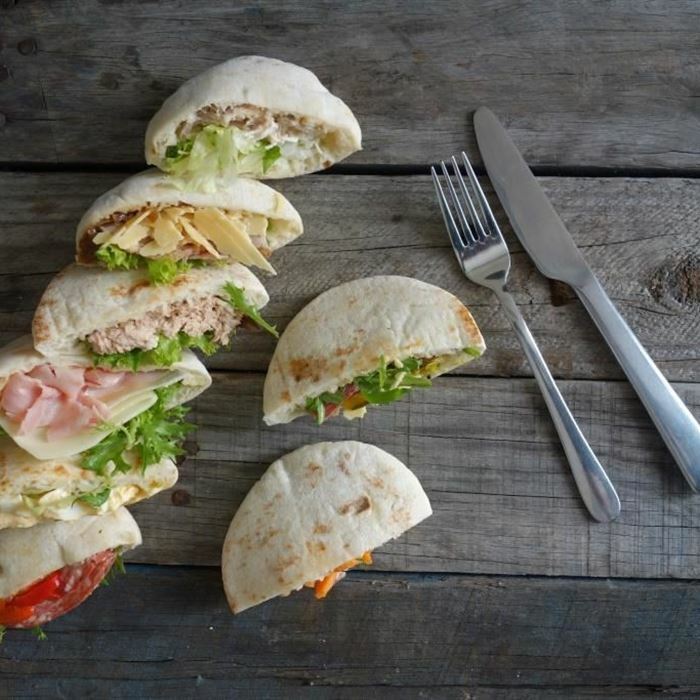 Tasty flat tortilla bread with healthy, delicious fillings, cut into either halves or quarters. Recommended 1.5 per person. 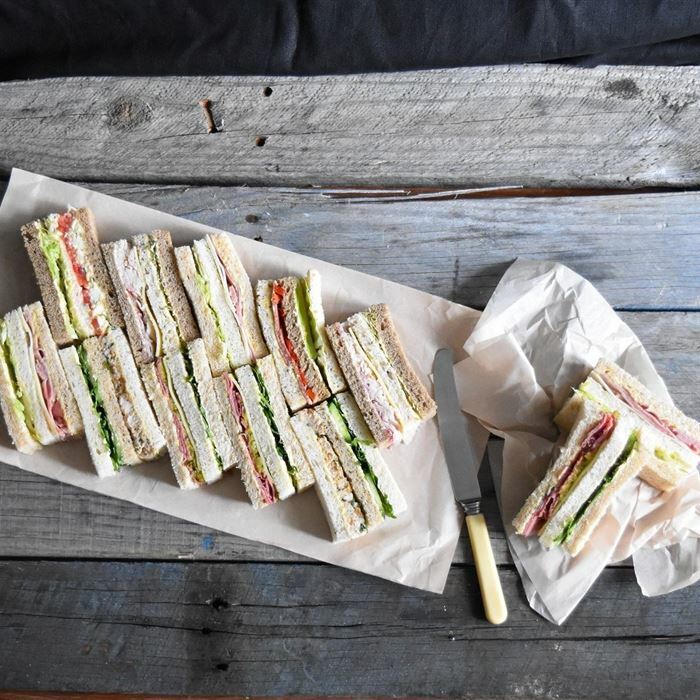 Delicate, easy to eat and the perfect size for a corporate lunch. 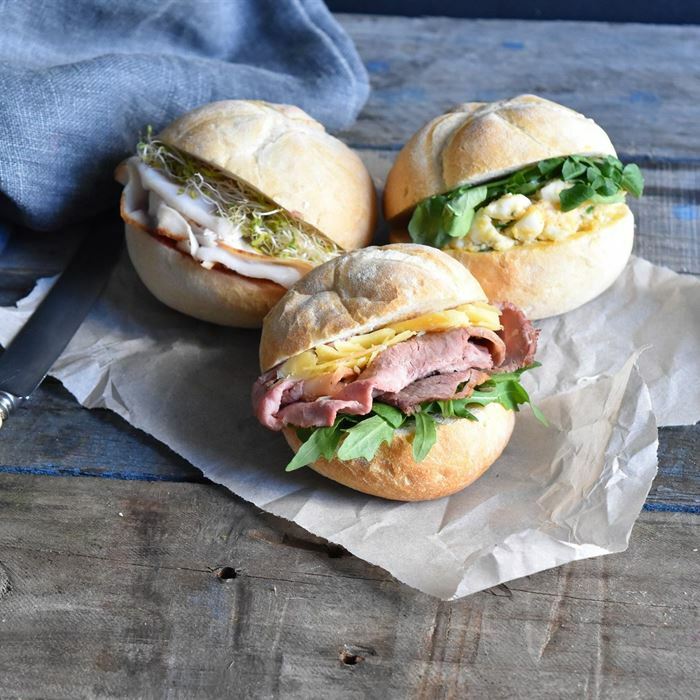 We recommend three Laugen Rolls per person. 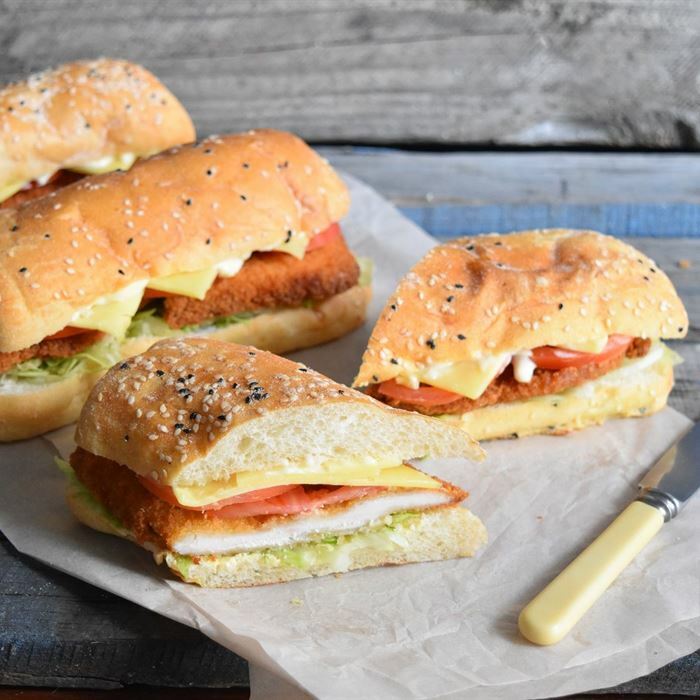 Delicious chicken schnitzel in a soft Turkish roll with cheese, home made mayonnaise and iceberg lettuce. Recommended 1.5 per person. 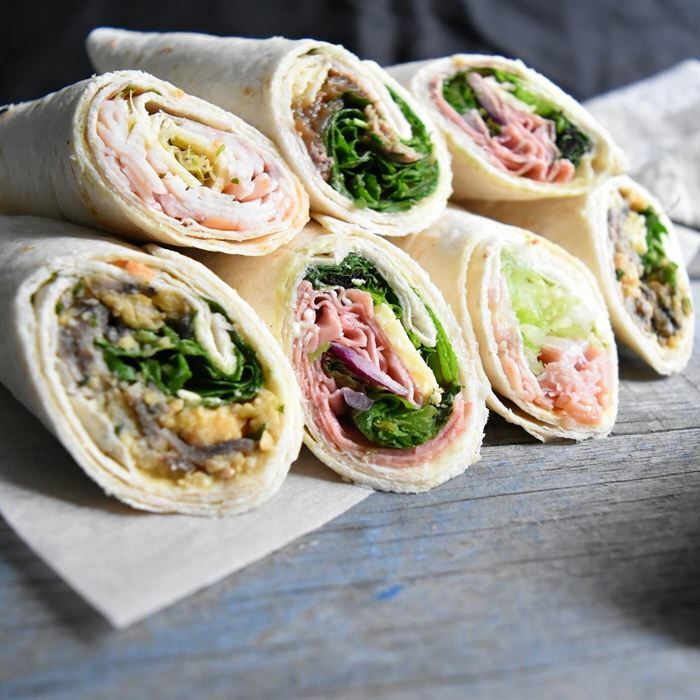 A fantastic lunch alternative, cut in halves and chock full of our famous fillings! Recommended 2.5 per person.